The turmoil and volatility endured by the high-yield universe of assets has been just as unnerving as the correction in equities for the past three months. Being that most high-yield assets trade like stocks and are primarily owned by retail investors, fear really swept through all the sub-sectors of the high-yield space to leave no assets unscathed. It happens every time there is a market blow off — sell first, ask questions later. After the market bottomed out on Christmas Eve taking a full 20% off the S&P 500 from its Oct. 3 high, the market’s benchmark index has regained half its losses in just the past two weeks in an impressive snapback rally. The Fed has turned dovish in its narrative on future rate hikes and the U.S.-China trade talks seem to be progressing. As to the government shutdown, the market for the moment has chosen to not be upset by it. As fast as the stock market recovered, so did the high-yield markets. Full recovery of the markets will require not just a solid earnings reporting season that kicks of this week, but a high level of confidence from America’s corporate CEOs about forward business conditions for the second quarter and further out. According to the latest notes from FactSet Earnings Insight, “Earnings guidance issued by S&P 500 companies for Q4 has been slightly more positive than average, while revenue guidance issued by S&P 500 companies for Q4 has been slightly more negative than average.” This is based on 106 companies within the S&P providing guidance. There will be particular focus on sales from overseas operations, currency headwinds from a strong dollar that persisted for most of the fourth quarter and the impact, or potential impact, from the trade war with China. Since Fed Chairman Powell’s conciliatory comments delivered in Atlanta two Fridays ago, the dollar has sharply declined with interest rates, making for a much more stock-friendly landscape. Aside from the heavy dose of technical damage incurred by most all asset classes, the much-needed clarity on Fed policy, trade with China, the spiking dollar and strength of consumer spending is shaping a more positive tone for the investing landscape as a whole. Within my high-yield advisory Cash Machine service, the model portfolio saw a few fundamentally strong securities dip in price to where their dividend yields got above 10%, presenting a rare opportunity to acquire well-run businesses with safe dividend payouts at steep discounts. My recommended portfolio consists of various classes of Master Limited Partnerships (MLPs), Business Development Companies (BDCs), covered-call option income funds, convertible debt, preferred debt, alternative energy, real estate investment trusts (REITs) and common stocks with juicy dividend yields. One particular MLP that got overdone in the market sell-off was Icahn Enterprises LP (IEP) — the holding company controlled by billionaire Carl Icahn. I view Mr. Icahn as one of “the smartest guys in the room” when it comes to making money over the long haul. 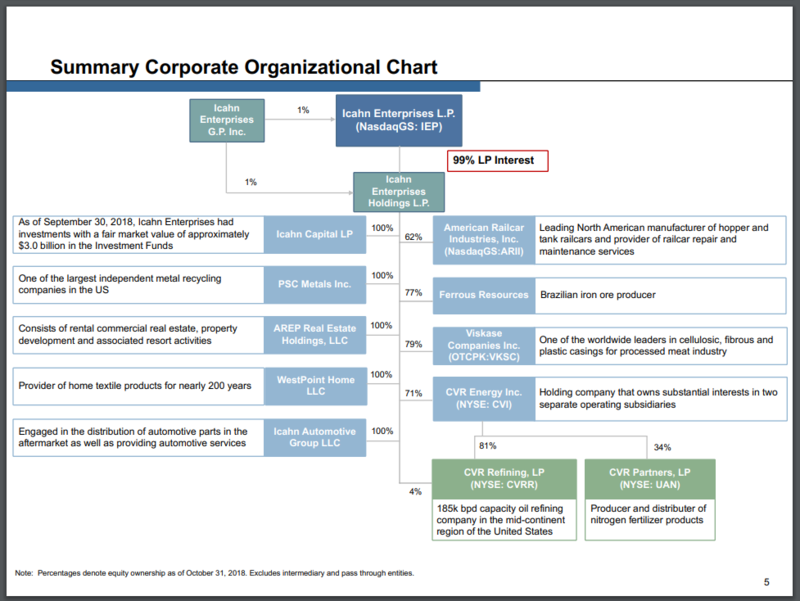 Icahn Enterprises engages in several businesses — namely stock investments, automotive, energy, mining, railcar, food packaging, metals, real estate and home fashion. But Mr. Icahn isn’t just excited about the investments his company owns, he is most excited about being the proud owner of roughly 92% of all the shares outstanding in Icahn Enterprises valued at $11.0 billion. In his most recent actions, Icahn booked big-time profits in Dell-VMware Tracking Stock, American Railcar and Tropicana Entertainment and is now rumored to be building a major position in Caesars Entertainment just this past week. Shares of IEP fell from a 52-week high of $81.88 in early August to trade down to $50.33 on December 24 only to see the stock vault back up to $65 during the past two weeks. The company pays out a good distribution of $7.00 per share, putting the current yield at 10.76%. 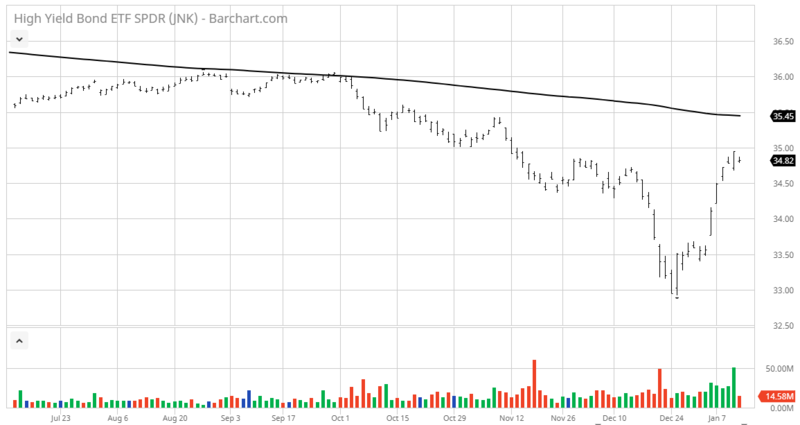 While I’d like to have another shot at buying the stock under $55, it would take another round of panic selling, which might not be in the cards. However, buying some stock at its current price and then adding to the position on any market weakness should prove to be a way to not just come alongside one of the truly brilliant investors of our time, but also collect a tax-advantaged double-digit yield in a stock that features a diversified set of fundamentally strong companies under one umbrella. Toss in the fact that Icahn’s businesses should largely benefit from tax reform and the value proposition for being long in Icahn Enterprises LP looks pretty promising. If this kind of high-income special situation is appealing, then climb aboard the Cash Machine train and find out about stocks like Icahn Enterprises LP (IEP) that may be uncommon holdings to most Wall Street wire houses, but not uncommon to the super rich investors that love cash flow. Go to Cash Machine and get involved while the year is young and jump start your portfolio yield today.